DOHA, Nov 27 2012 (IPS) - African negotiators attending the United Nations climate change talks in Doha, Qatar say they are determined to ensure that developed countries do not let the Kyoto Protocol die as its commitment period comes to an end. The protocol’s first commitment period will expire on Dec.31, 2012 unless negotiators at the 18th Conference of the Parties (COP18) to the United Nations Framework Convention on Climate Change (UNFCCC) can give it a new lease of life under a second commitment period to begin in January 2013. “We are not about to watch on as some of the developed countries plot to bury the Kyoto Protocol in Doha,” Chebet Maikut, a Ugandan delegate, told IPS. The current protocol commits industrialised nations and the European Community to reduce their emissions of four greenhouse gases. The African Group of Negotiators and the Alliance of Small Island States are pushing for the renewal of the agreement, as it is the only international treaty of its kind. According to Odhengo, Canada, Russia, and Japan are not willing to sign a second commitment period partly because they want emerging economies like China and India to commit to bigger emissions reductions. 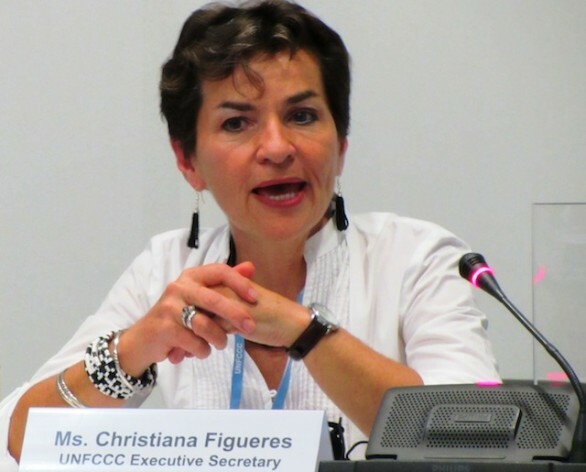 Christiana Figueres, executive secretary of the UNFCCC, told IPS that a renewed commitment period was urgently needed in order to safeguard important emissions reductions and accounting roles that have existed under the Kyoto Protocol. “The Kyoto Protocol is the only existing and binding agreement under which developed countries commit to cutting greenhouse gases. It underwrites international political trust that developed nations remain responsible to lead emission cuts,” she said. Figueres said that the Doha deliverables had been prepared during the year and she hoped that no new issues would come up. According to Figueres, deliverables include the second commitment period for Kyoto as well as an array of institutional arrangements and the convention to support developing countries. Meanwhile, according to Odhengo, African countries are eager to save the United Nation’s Clean Development Mechanism (CDM), which provides for emission reduction projects that would cease to exist if the Kyoto Protocol is not extended beyond December. However, Peter Storey, the coordinator of the United States-based Climate Technology Initiative’s Private Financing Advisory Network, told IPS that it was meaningless for Africa to push for this. He said Africa had less than two percent of all CDM projects registered globally and the remaining projects were mostly in China, India and Brazil. Conor Barry, the head of stakeholder development mechanisms at the U.N. Climate Change Secretariat, told IPS that CDM projects were rapidly increasing in Africa. He said that the focus had changed from large-scale projects that could easily be found in India, China and Brazil to small-scale projects in Africa and least-developed countries (LDCs) in other regions. “We have learnt a lot from CDM during the first commitment period and we think the situation will be much better for Africa if parties at Doha agree to the second (Kyoto) commitment period,” said Barry. He said the secretariat was expanding its small-scale projects, including those involving the use of improved cooking stoves and solar lamps, across various geographical areas. According to Barry, in April the secretariat introduced a loan scheme aimed at stimulating the registration of CDM projects in under-represented countries. The loans are given to projects that have a high probability of registration, an expected generation of 7,500 Certified Emissions Reductions or CERs per year in LDCs and 15,000 CERs per year in non-LDCs. John Christensen, head of the U.N. Environment Programme’s Risoe Centre, told IPS that such initiatives could increase Africa’s share of CDM projects. He said that the European Union Emission Trading Scheme, which is the main purchaser of CERs, would only accept carbon credits from projects in LDCs from 2013.
great headline, but the story gives us nothing of the kind. oh yes? HOW? perhaps time for African journalists to press African governments, negotiators, NGO fellow travelers on their complete impotence in the UNFCCC process. what has Africa achieved from all the COPs combined? what makes anyone involved think anything more will come out of this one? Doha should confirm the design of a second commitment period for the Kyoto Protocol, and set the parameters for the negotiations leading to a new international climate agreement in 2015. Email us: alexandergrantloanfirm@hotmail.com for more details.